Driving around there is no doubt that you have seen buildings that could leave a facelift. A fresh coat of paint or new décor could do wonders for the overall appeal of the business that resides within. In most cases, you will find yourself driving by, looking for a fresher, more updated model. This is the same way that visitors judge your website. Your website is essentially your digital storefront. When you have a great website, it will increase your credibility and then help to establish the presence that your site has in the marketplace. An outdated site, on the other hand, will cause your potential customers to turn away and run. In most cases an outdated website is directly equated with products or services that are also outdated. There are some definite ways that you can determine if your website is in need of a face lift. These are the top 10 reasons that you need to seek a refresh or redesign of your site. Number 1: Your site consists of nothing but flash. Any site that is created with flash is quickly going out. Additionally, using flash can actually be detrimental to the search rankings your website has. It also does not work on most of the mobile devices, including the ever-popular Apple devices. In most cases, a website’s lifespan is between three and five years. If you do not regularly update at these intervals, yours is likely to look ancient when put up against new technology trends. Number 2: You have a hit counter that is visible. The fact is that these went out with the 90s. Well, not really but they are a definite no-no for modern websites that are on point with the latest technological trends. Eliminating this feature is a must for any site. Number 3: Your site is missing all call to actions. You need to encourage your visitors with what you want them to do next. This can be selling of your product or clicking through the site. You need to ensure that these calls to action are clear and to the point. Number 4: You have a website that is too small for the computer and too big for a mobile device. Technology advances have led to bigger, high-resolution screens that sites that have not been updated look puny on. Only a few years ago, computer screens had much smaller resolutions, which accommodated these sites. Additionally, you have to ensure that your site can be optimized on mobile devices and smartphones. It is estimated that by 2015 more people will access the Internet from their smart device than a regular computer. 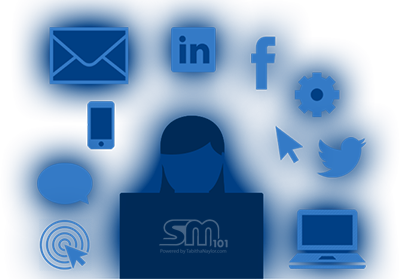 Number 5: You have not taken the time to integrate social sites on your website. Facebook was launched in 2006. With over 800 million users, there is really no reason not to utilize this free source of traffic. Additionally, YouTube is the 3rd most visited site on the Internet. Using these sites to promote your brand makes sense. Number 6: You only have static content on your site. It is easy to update your site with new product information, press releases or news? The very best websites actually benefit most from providing timely and current information to their consumers on a regular basis. This can be done with a content management system or a company blog. Installing these features will ensure that your content is always fresh and new. In fact, there have been several studies that have proven that sites that have a blog receive up to 55 percent more traffic. Number 7: The content on your site is all contained in images. If your text is located within the images on your page, it is not able to be detected by search engines or by visitors who have images disabled. You need to ensure that your important content is displayed as text on the page, rather than contained in an image. Number 8: There are more than three different styles and colors of font. You need to create a consistent website. This will help you build your business’s brand. If you find yourself with font in the style of Papyrus or Comic Sans, you are in need of serious help! Number 9: Your website’s intro page is animated. While this was seen as unique and different in the past, it will now cause your potential visitors to turn around and run. This is also a huge deterrent for visitors to come back. Number 10: The copyright that is located in your footer is not current. While this is an easy change to make, it is also a sign that your site has been neglected for much too long. When visitors see the outdated copyright, they may also believe that the site does not provide current information, and seek their products or services elsewhere. It is important to update your site regularly to stay competitive in the online world. These tips are good signs that a refresher for your site may be well overdue! Take time with your online site and you will see the difference that a great looking site can truly make.